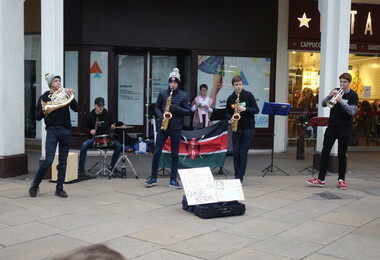 We are five Senior School pupils, Dan, Josh, Alex, Joe and Charlie, who are trying to raise money to improve the lives of children in Nakuru, Kenya, with three of us going there in the summer this year. 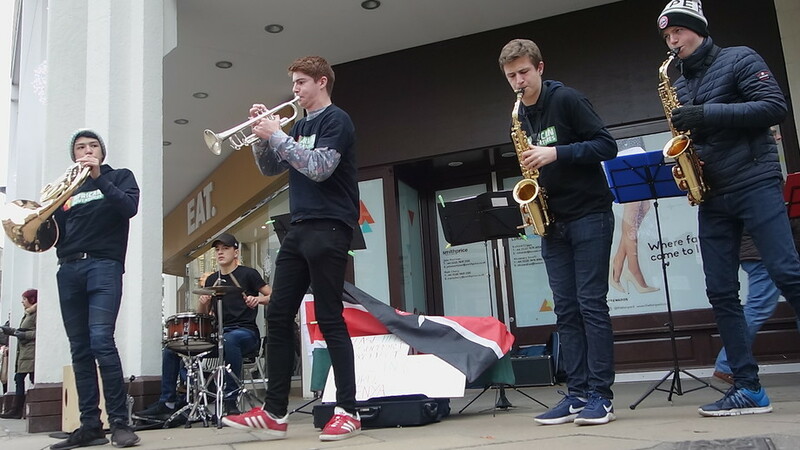 To do this, we formed a brass band called The Busking 5 and, following a few rehearsals, we had our first public performance on the roof terrace at Host in Bishop's Stortford in the run-up to Christmas. 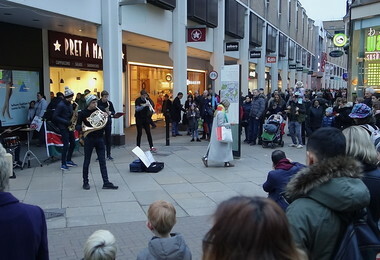 More recently, we have taken to the streets of Cambridge where we have been performing just outside the Grand Arcade shopping centre. Despite the cold and sometimes rainy weather, we have really enjoyed ourselves and we have received a lot of support from the public. After four full days of busking, we have raised a considerable amount of funds and that is all thanks to the generosity of the public. We aim to carry on playing and entertaining people as much as can before we go off to Kenya. Do come out and see us in Cambridge soon as we usually play on Exeat weekends and in the school holidays.